Regional and national committees make important decisions which shape the sport’s future. Many committee members are volunteers who are nominated to their role. Why volunteer on a committee? As a committee member, you’ll have a say in how the sport is run. 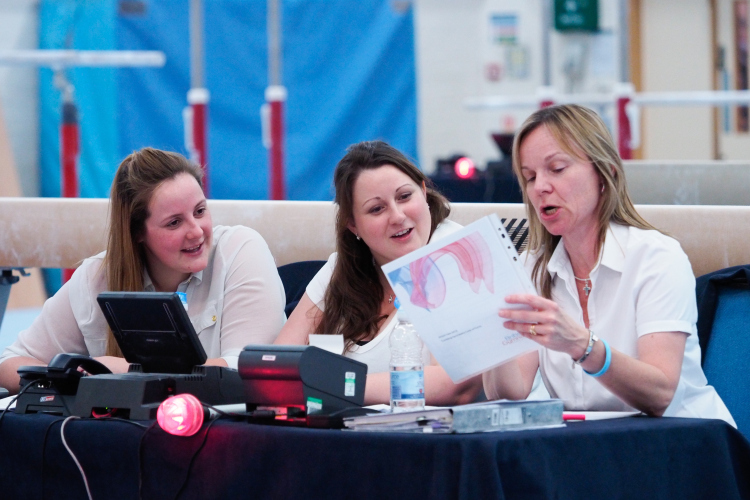 You’ll help to arrange competitions, support registered clubs and ensure the opportunities exist for every gymnast to reach their potential. Should I join a committee? Regional and county committees implement strategies at a local level, as well as preparing competition programmes, creating rules and competition handbooks and selecting regional squads for competition. Are you great at getting people involved; are your organisational skills a key strength? These opportunities create close knit teams that work together and make a difference to our sport. Based on your skills and interests, we’ll work with you to find a role that suits you. Depending on the committee, this may include positions such as chairperson, secretary, treasurer, discipline representatives and welfare officer. Having an understanding of gymnastics helps, but it is not essential. Other skills, such as leadership, finance and communication, can be equally valuable in helping committees to develop the sport. If you’re ready to do something amazing with your spare time, we can’t wait to meet you. Take your first step to becoming a technical volunteer by telling us a little about yourself.